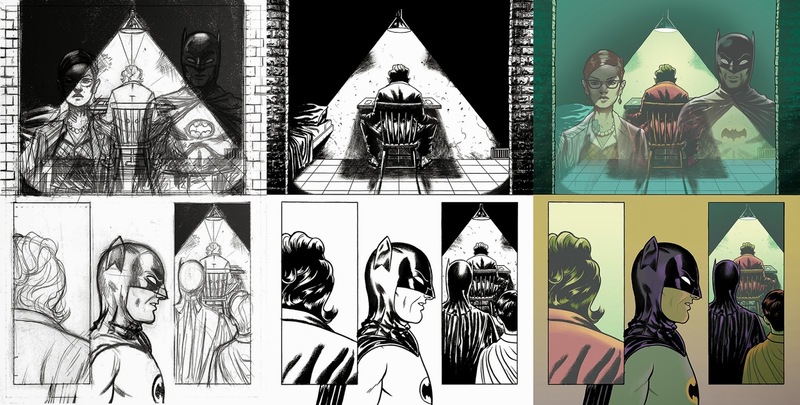 Batman ‘66 # 3 is now on the stands! 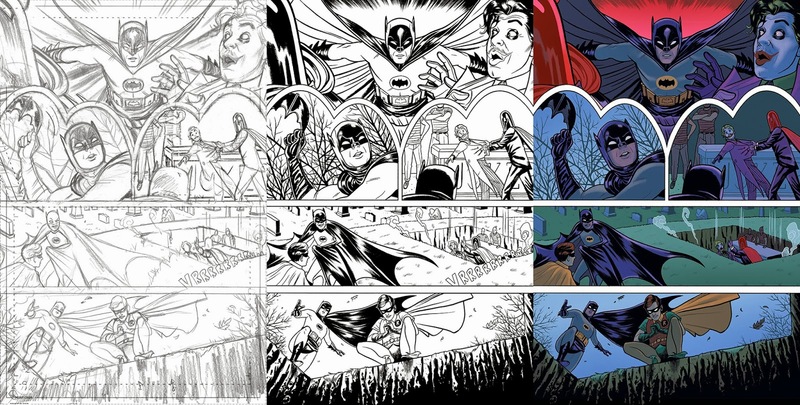 New York Times bestselling artist, Maris Wicks colored the book, working over my pencils and inks. 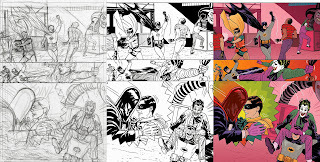 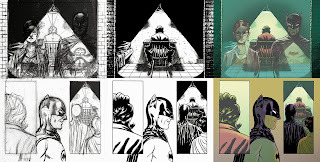 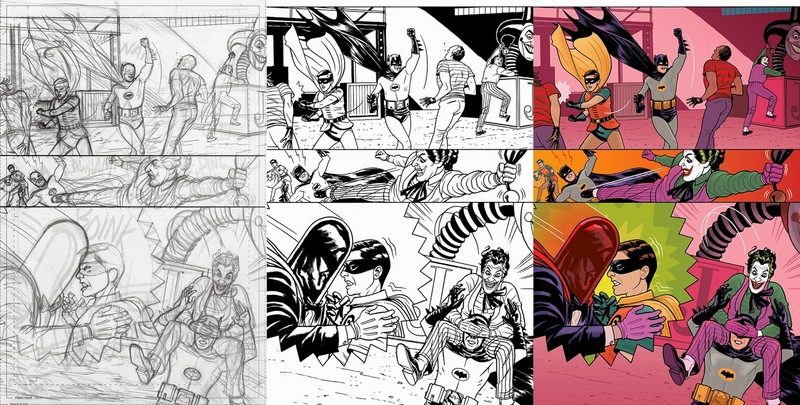 Above is a look at my process from pencils/layouts to inks, then finally Maris’ gorgeous colors.